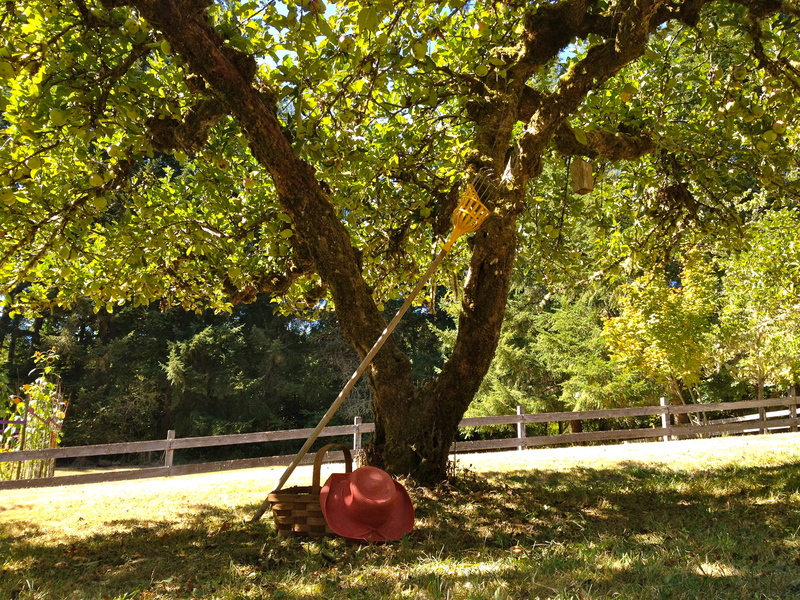 The two old apple trees on my property are difficult to harvest—growing on the side of a lumpy hill. Six fall off the tree and bounce down into the underbrush for every one that lands in my apple picker basket. They need to be pruned, but the same lumpy hillside makes that task difficult too. I don’t know when they were planted. I only know the family lore, that they weren’t planted years sooner because, my father said, “if I’d done it ten years ago there would be apples now.” But finally he planted them anyway and they provided applesauce to my mother for decades. When I started keeping a list of books I have read or listened to, I almost took a page from the apple tree playbook. I had read so many books in my life—going back to the Boxcar Children and Island of the Blue Dolphins, and the other many pages of words that filled my childhood—and didn’t keep a list, what was the point in starting so late in the game? It will never be complete, I reasoned. But choosing not to get sucked into the apple tree vortex, start I did. Nineteen years later, there are 905 books on my list; evidence that I am a reader. It’s never too late to start a thing. Four of the last few books on my list are color-coded “favorites.” It’s been a bumper couple of months. For the record, the four are Educated, a memoir by Tara Westover of growing up with hard-scrabble fundamentalist parents who didn’t want her to become anything, but she did in spite of them; Becoming, Michelle Obama’s memoir of growing up poor with parents who taught her to reach for the stars, and she did because of them; Where the Crawdads Sing, a novel by Delia Owens about a girl abandoned by her parents who raises and educates herself; and an inspiring memoir, Unshattered: Overcoming Tragedy and Choosing a Beautiful Life by Carol Decker, who left the hospital months after giving birth to her second child, blind and with three amputated limbs due to sepsis, and learns to appreciate what she has rather than grieve what she lost. It was sheer coincidence that the last books of 2018 and the first ones of 2019 have been about resilience and strength to do a new thing. Now I’m left to figure out what I’m to take from that. I’ve been reading my aunt’s letters home from her years as a nurse in the European theater during WWII. As I was when I read those my parents wrote to each other, I’m anguished that I never knew to engage in conversation with her about her life before I knew her. I am knowing her now, through the letters, and I’m grateful they exist. Like my mother during those years when she was making a life on her own, my aunt’s independence and sense of adventure back then doesn’t match the person I knew and loved. It’s like reading about someone else. Who were these fierce women? I want all of them back. I have questions. I want the stories I wasn’t told. I want to know the mother—known only to me as an old woman—who inspired my aunt and father and lived so deeply in their hearts, the love and admiration and concern and gratitude flowing from their pens onto paper that took weeks to reach her. I want to know my mother’s mother, whom my mother came to appreciate only in hindsight. Two daughters raised so differently, yet—like Tara and Michelle—with much the same outcome. I want back the years when they were here. But we don’t get years back. I went for a frosty morning drive this week and stopped at the cemetery for my first visit since the date of my mother’s death was added to the marker. I miss them so much. I made a list on the last day of the old year of my accomplishments in 2018. In the face of all that begs to be done in a year’s time, of intentions set and not realized, it feels important to dwell on what did happen. I keep it in my desk drawer and pull it out when I feel overwhelmed by the present to remind myself that much is accomplished, even when much stays on the to-do list. On my current list, before the winter cold and wet turns to sun and warmth, is preparing the upper floor of the house my parents built for new floors. It’s more than just moving furniture out and finding a place to put it for a week (I’ve not yet figured out how I’m going to manage those tasks), but painting rooms and closets and cleaning out the last vestiges of my parents’ 55-year occupation. One (small) closet down, five (large ones) to go. Yesterday I filled two boxes with items from the shelves of the kitchen broom closet so I could put clean color to the marred formerly white walls and shelves. I think I will not add the three yard sticks to the box of yard sticks in the storage room, printed with the names of hardware stores and flooring businesses; they feel like kindling to me. I will hold each of the other items in my hands and carefully choose what goes back in. I will return to the broom closet the tiny cabinet I loved in my childhood that was relegated to the basement at some point—still full of odd tiny things. When I feel snowed under by the tasks—clearing trails, finding someone to prune the apple trees, cleaning out a closet, reading wartime letters, revising my memoir, starting a new writing project, planning for my upcoming writing circle, moving toward the next phase of my business venture, a new website, picking up my ukulele, going on an adventure, or sitting still and reading a book—I will remember not to look too far ahead. The sunrise over the valley reminds me that every dawn is the beginning of a new day, the one day I have. Whatever I do in it is enough. When I get to longing for the missing generation of my family, I look at these letters; hold the stuff in this house in my hands; feel my parents’ love for me, my sisters, and each other; offer gratitude; and write about all of it. They are here with me and in me. Their time is past—a long time in the case of the four women and two of my other aunts, with a median age of 97 years—but mine is right here, right now. of a most amazing day? the warmth of the almost equinox sun. than do just about anything else? with the apple picker and dropping them into my basket. who keep their distance but don’t run off. that can’t possibly be considered work. but now I don’t know what more there is to say.